Nathan was raised on his father’s family ranch in Malad, Idaho where he rode, started colts, and calf roped from as far back as he can remember. Before opening his own training establishment, Nathan worked as an Assistant Trainer for Kim Wagner, (2000 NRHA Intermediate Open Derby Champion and IRHA Open Futurity and Derby Champion) and more recently as Assistant Trainer for the renowned Annie Reynolds Jones, (#1 NRCHA Lifetime Leading Non Pro Rider, #1 NRCHA Lifetime Leading Owner for 2005) at Why Worry Ranch for two years. 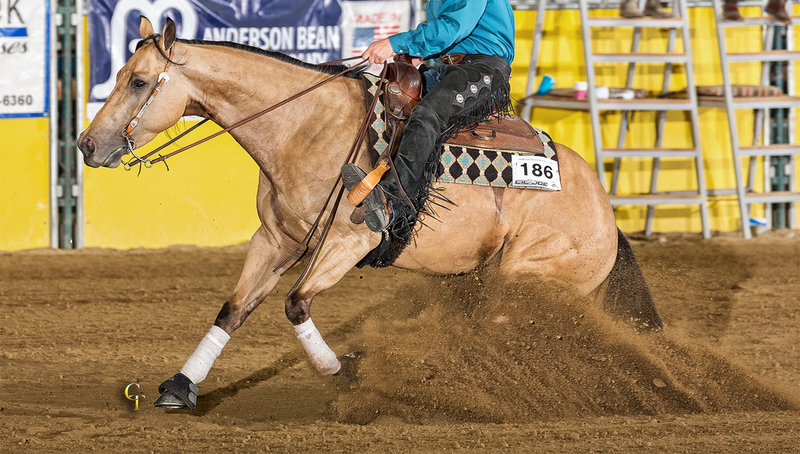 “One of the most rewarding experiences of my life has been getting to know, coach, and employ Nathan,” says Annie, who generously shared her knowledge with Nathan as he rode and trained some of America’s top horses and leaders in the reining cow horse industry. Nathan’s shining reputation created the opportunity for him, in the Spring of 2009, to become Head Trainer for Ann and Dan McGregor at the Lucky Run Ranch in Kuna, Idaho. 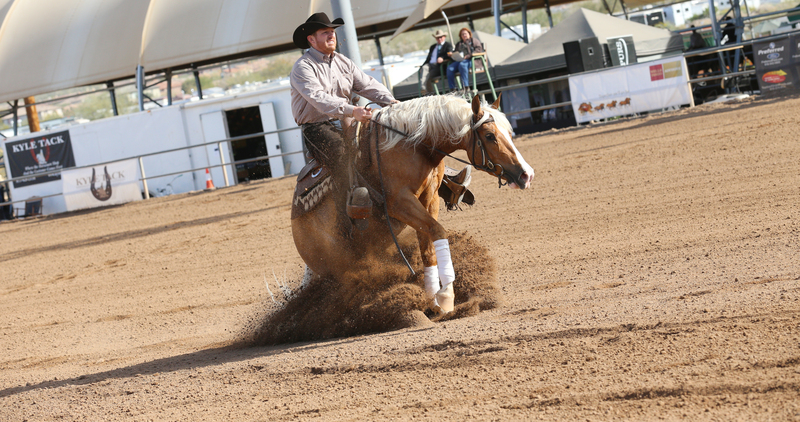 With the blessing of his new employers, he has also established his own venture at the ranch, training horses in reining. Nathan’s philosophy is based on the recognition that each horse has a unique character, spirit, and body. The most dynamic physical, mental and emotional development of any horse will only happen when the training is designed to fulfill individual horses’ needed by a trainer who knows the motivation, the spark, and the joy of each equine athlete. Every horse learns differently. Starting with a healthy and solid foundation, Nathan discovers the horse’s strong points and uses them to build confidence, control and performance skills. With remarkable patience and creative, flexible thinking, Nathan adapts his training to bring out the star in each horse. When the devotion of a good trainer meets the enthusiasm of well-grounded horse, something magical happens between them. Nathan has that touch – that stellar quality – that helps horses to love what they do, and guides them into reaching their full potential. 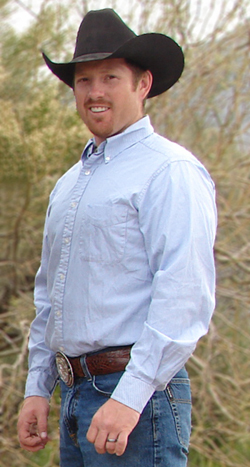 Nathan Kent along with his wife Nicole now resides at the Lucky Run Ranch in Kuna, Idaho, with their own high performance Arabian and Quarter Horses and their two crazy dogs.